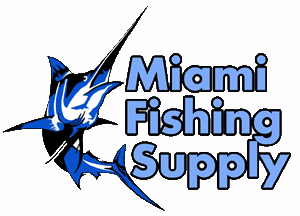 MFS Custom Big Game Lure Rigging Miami Fishing Supply, complete selection of offshore fishing tackle, marine electronics and boat supplies. Just add this item when purchasing a big game lure and we will make it tournament ready for you. Just just choose between cable of mono, Lb test and hook style and we will put it all together for you. 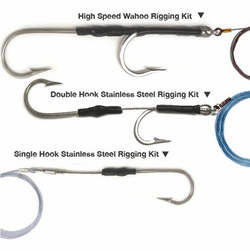 We use only the best rigging tools and materials available when preparing our custom rigs, Southern Tuna Style stainless steel hooks and 7732 style stainless steel hooks, heavy duty sleeves, chafing protector, thimbles and spacers, when needed. There is no need to choose the size of the hooks, we will choose the best match when preparing your lures.